A classic Pomerol property with a great history, Château Rouget is definitely a wine to look out for. The property is situated in the northernmost part of the Pomerol appellation with a view of the Barbanne river through the trees. 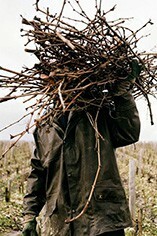 The vineyards are planted with a typical Pomerol mix of 85% Merlot and 15% Cabernet Franc and are made up of sandy soils. The wine is aged for 15 months in oak barrels, one third of which are new. Traditionally the wines here were well made,but quite austere and tannic, taking a number of years to come round, since the recent acquisition of the property by the Lambruyère family however, the wines have become much more supple and modern.